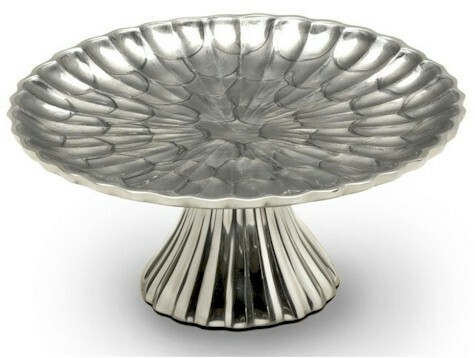 I almost passed out when I saw this Julia Knight "platinum" 10" cake stand for $17.66 with free Prime/SuperSaver shipping. I thought perhaps it was missing a zero, so I called Amazon to make sure that this was NOT a pricing error, and they confirmed that this was another wonderful (for us) overstock issue. I love Amazon overstock issues. I bought two of these, one for me and one for my gift shelf. I wanted to buy thirty of them, but I showed a little restraint. If you're not familiar with Julia Knight tableware, Google around to see how much her cake stands generally cost. Yeah. Usually over $70, more likely in the $100 or more range. I'm still hyperventilating. If you love collecting and using beautiful designer kitchenware as much as I do, your heart will be singing a little bit too. I also saw this cakestand in "toffee" for even less, $14.05 with free Prime/SuperSaver shipping, but I think the platinum one is prettier. Julia Knight, omigosh. What a score. 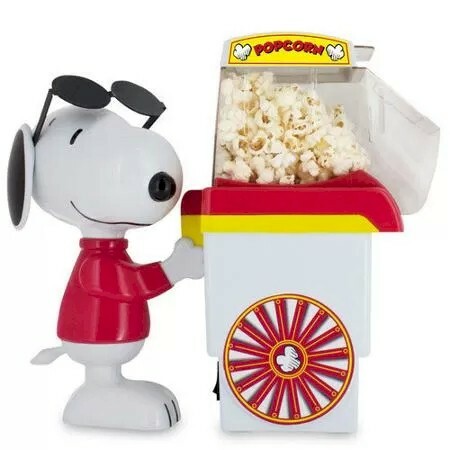 Amazon has got this Smart Planet Snoopy Popcorn Popper Maker for $13.72 with free Prime/SuperSaver shipping. It got 4 out of 5 stars over 21 customer reviews. Great gift, perfect for a college dorm. 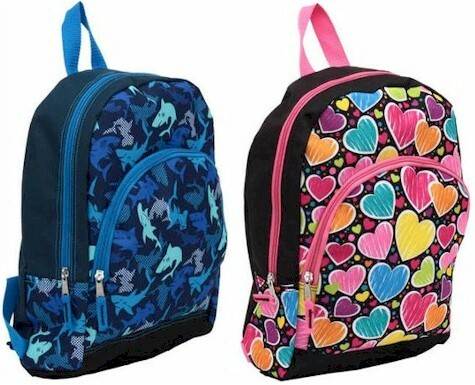 Walmart has got these 15" kids' backpacks for only $3.97 with free in-store pickup. Shipping is not available on this backpack. It comes in six different patterns (from the front page, it might look like some of the pattern are not available, but click on them and they will appear as available). 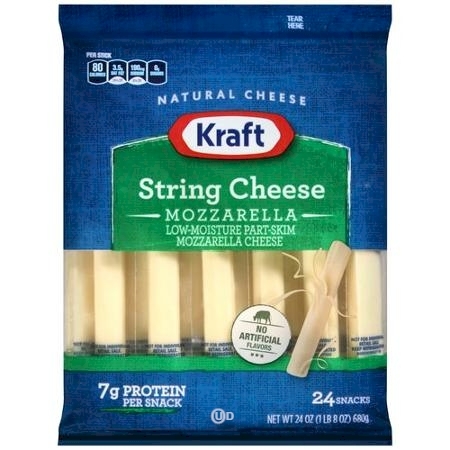 Print your coupon for $1.00 off any two Kraft String Cheeses or Twists here. As you well know, Kraft String Cheese has been kosher (OU-dairy chalav stam) for about two years now and is much less expensive than the "haimish" brand string cheeses. With this coupon, you should be able to score some nice deals. Limit two prints per computer. Amazon has got the Learning Resources Gears! Gears! Gears! 95-piece set for $18.74 with free Prime SuperSaver shipping. 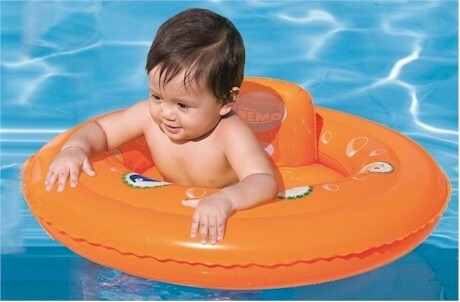 This popular toy received 4.5 out of 5 stars over 519 customer reviews and is an Amazon #1 Best Seller, with good reason. There are so many ways to build, children discover something new every time they play. There are many different ways to arrange the bases; rows, pyramids, zigzags and more. 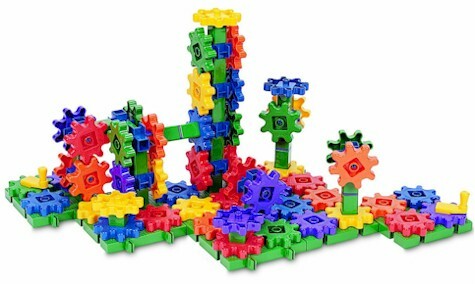 Includes pillars, connectors and cranks - Allows kids to explore the fascinating action that can be created with gears. Amazon has got this set of 12 Mommy's Helpers Safety Outlet Plugs for only $0.99, the lowest recorded Amazon price for this item. These outlet plugs received 4.5 out of 5 stars over 95 customer reviews. This is an Amazon Add-On item, which means that it ship for free with a $25 minimum order if you are an Amazon Prime member (and the price of the item, $0.99, counts towards that $25), or it ships for free with a $35 minimum order if you're not a Prime member. You can buy multiples of this item to help get you to your $25 or $35 minimum for free shipping. 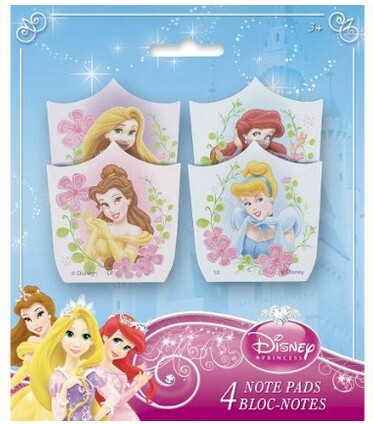 Amazon has got this set of four Disney Princess Note Pads (3.5" x 2") for just $0.99. This set got 3.9 out of 5 stars over 20 customer reviews. Be aware before you order that these note pads are small. 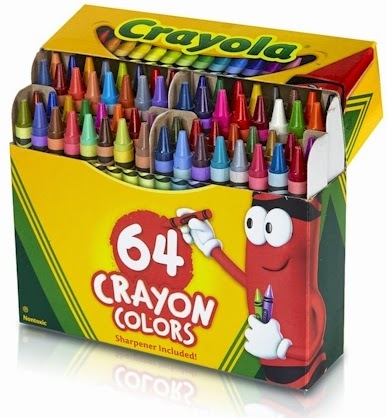 Amazon has got this 64-count box of Crayola crayons for $2.00 with free Prime/SuperSaver shipping, the lowest recorded Amazon price on this item. It got 4.7 out of 5 stars over 634 customer reviews and is an Amazon #1 Best Seller. When I posted this deal yesterday, it sold out in minutes. Just a reminder that tomorrow, 7/31/15 is the very last day to take advantage of this great deal! This is a new offer for July, ONLY for select Amazon account holders. Log into your Amazon account first and then click here to see if you are eligible. If you are not eligible, the screen will say "unfortunately. you are not eligible for this offer." If you are eligible. this offer is almost a no-brainer. 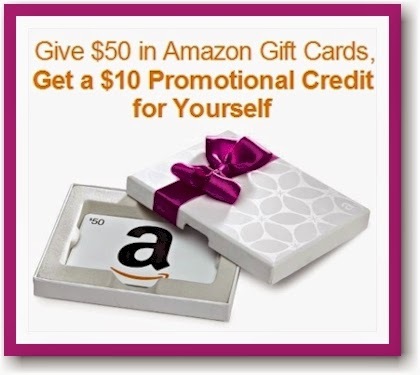 Just send a friend (or yourself) a $50 Amazon gift card before 7/31/15, use promo code 0715GCARDS at checkout and get a $10 Amazon credit for yourself. 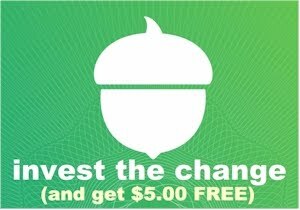 The promotional code of $10 will be sent within five days to the email address associated with the Amazon.com account used to purchase the gift cards. 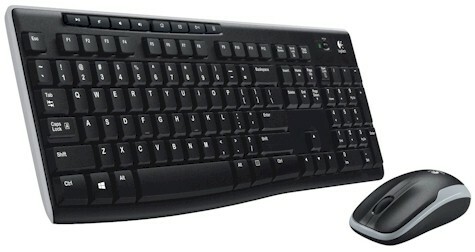 The $10 promo code may be applied only to eligible products sold by Amazon.com and its affiliates and does not apply to products sold by third-party merchants through the Amazon.com site. The $10 promo code expires on 9/15/15. 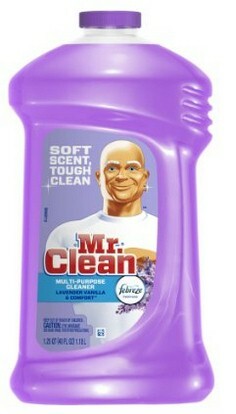 I am really annoyed at myself because last week, we ran out of Mr. Clean and needed it I bought this in a local grocery store and paid almost twice as much it costs here on Amazon! Amazon has got a nice coupon + Subscribe & Save deal on this 40 oz. bottle of Mr. Clean Multi-surfaces Liquid with Febreze , just $2.20 shipped! Ignore the verbiage about it being an Add-On item, because we are going to buy this through Subscribe & Save, so none of the Add-On rules apply. $2.95 - $.75 coupon = $2.20 with the 15% Subscribe & Save discount, if you can take delivery of 5 or more active subscriptions in one month. $3.30 - $.75 coupon = $2.55 with the standard 5% Subscribe & Save discount. (If you are a paid Prime member and this happens to be your very first Subscribe & Save deal, don't forget to enter the promo code TRYSNS10 at checkout to save an additional $10 off your order, through 7/31/15.) Details are here. 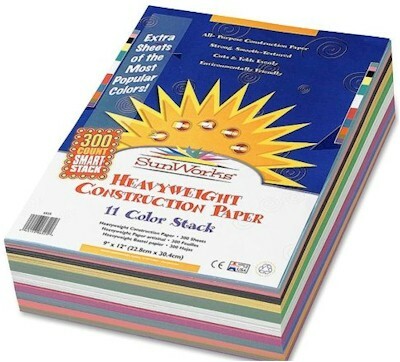 Amazon has got this SunWorks Smart-Stack 300-sheet Construction Paper for $5.94 with free Prime/SuperSaver shipping (just under 2 cents per page), the lowest recorded Amazon price on this pack. It's currently not in stock, but you can lock in this price and it will ship as soon as they re-stock. It comes in 11 assorted colors, and is a standard 9"x 12" paper size. 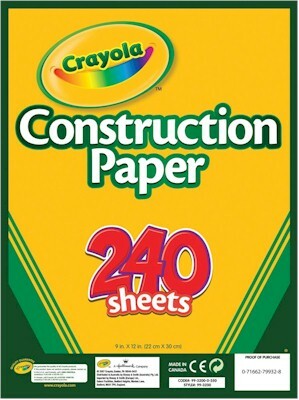 If you prefer to go with a more familiar brand name, or need the construction paper right away, this 240-sheet pack of Crayola Construction Paper is $4.99 with free Prime/SuperSaver shipping (about 2 cents per page). It got 4.4 out of 5 stars over 144 customer reviews and is an Amazon #1 Best Seller. It comes in 10 assorted colors, and is a standard 9"x 12" paper size. Wow! 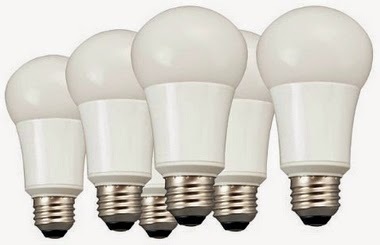 Barely 3 1/2 months ago I posted this lowest-price deal on LED light bulbs for $6.00 per bulb. Well, now, Amazon has got this 6-pack of LED 60-watt equivalent soft white bulbs for $23.99 ($4.00 per bulb) with free shipping. These bulbs got 4.6 out of 5 stars over 1,082 customer reviews and are an Amazon #1 Best Seller. LEDs are much more efficient that incandescent bulbs and don't contain the mercury that you'll find in CFLs (though they do contain lead, please be aware). They also look like normal light bulbs and not spiral noodles from outer space. These bulbs come with a limited 5-year warranty. 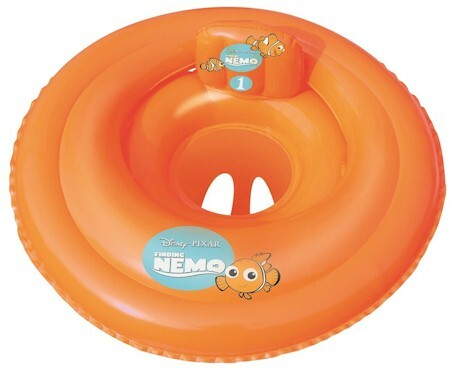 Amazon has got this Disney Nemo pool baby seat for $5.97, the lowest recorded Amazon price on this item. This is an Amazon Add-On item, which means that it ship for free with a $25 minimum order if you are an Amazon Prime member (and the price of the item, $5.97, counts towards that $25), or it ships for free with a $35 minimum order if you're not a Prime member. You can buy multiples of this item to help get you to your $25 or $35 minimum for free shipping. $38.84 - $13.71 coupon = $25.13 or 11 cents per trash bag with the 15% Subscribe & Save discount, if you can take delivery of 5 or more active subscriptions in one month. $43.41 - $13.71 coupon = $29.70 or 13 cents per trash bag with the standard 5% Subscribe & Save discount. Couleur Nature table and kitchen linens are notoriously expensive, as they are imported from Southern France and each piece is hand-printed and hand-made. Every now and then, I'll catch a really nice deal on Couleur Nature linens on Amazon. 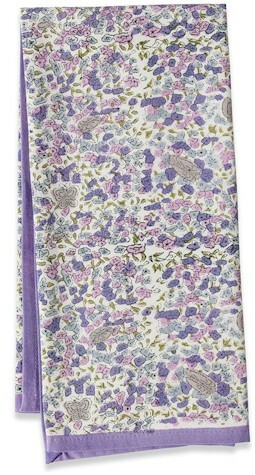 Amazon has got this set of three 100% cotton 20" x 30" Couleur Nature Lavender Tea Towels for $11.48 with free Prime/SuperSaver shipping. Couleur Nature tea towel sets in other patterns usually range from $35-$45, so this is obviously a one-time only clearance price. At this price, that works out to $3.83 per towel, which is almost unheard of for Couleur Nature table linens. I actually have several Couleur Nature tea towel sets (that I bought when they went through price dips like this one), and they are of VERY fine quality. The material and patterns are beautiful. I can definitely see why they are normally so expensive. 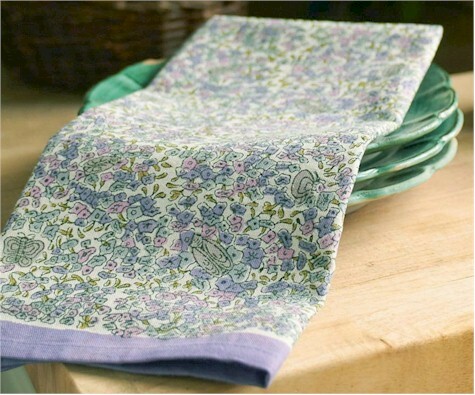 Set of 3 matching tea towels, each measuring a generous 20" x 30". Suitable for everyday use. Easy care, machine washable, color fast. Iron if needed. 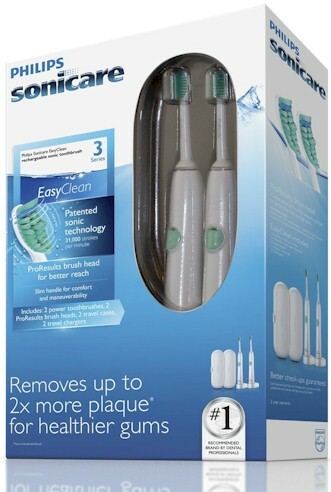 Amazon's Gold Box Deal of the Day for today, 7/29/15, is this 2-pack of Phillips Sonicare Easy Clean Rechargeable Toothbrush for $99.99 with free shipping. If you bought each one individually, it would cost $62.99 x 2 = $125.98. This Sonicare got 4.7 out of 5 stars over 19 customer reviews, and is an Amazon #1 Best Seller. I'm a huge fan of Sonicare toothbrushes. A few years ago, I was diagnosed with gum disease and had to have a "root planing and scaling" treatment, which was not fun at all. After the treatment, one of the things my dentist strongly recommended was getting a good electric toothbrush. I was pretty skeptical about whether or not such an easy change would make any difference. But I did get a Sonicare and a month later, I had one of the best dental checkups that I had in years. I've been using it religiously, and my teeth and gums have been getting better and stronger ever since. I no longer have ANY trace of gum disease at all. Using a Sonicare made a very notable difference. Amazon has got this Crayola 10-count Mini Twistable Crayons for $1.97 . This is an Amazon Add-On item, which means that it ship for free with a $25 minimum order if you are an Amazon Prime member (and the price of the item, $1.97, counts towards that $25), or it ships for free with a $35 minimum order if you're not a Prime member. You can buy multiples of this item to help get you to your $25 or $35 minimum for free shipping. 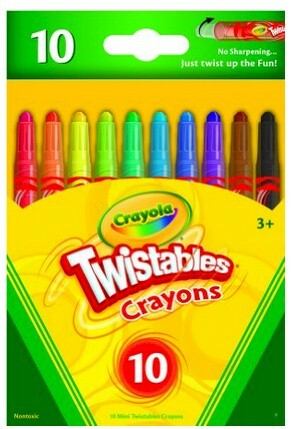 These Crayola twistable crayons got 4.5 out of 5 stars over 15 customer reviews. UPDATE: Use promo code TANGA10 (good today, 7/29/15 only) to take an additional 10% off your purchase. 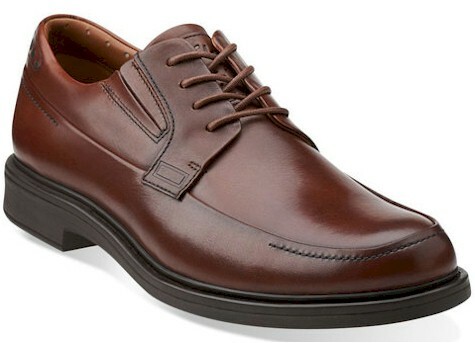 Tanga has got these six sets of Clark's shoes for men on sale from $50.99 to $87.99 with free shipping. Not all sizes/colors are available and they are selling out fast at these prices. 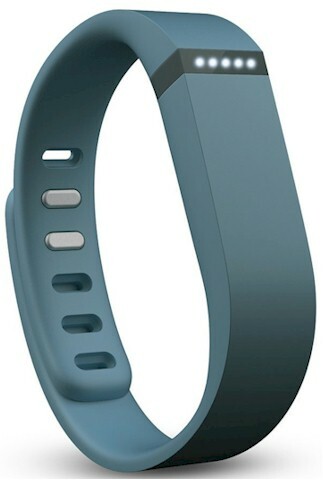 Rakuten (formerly Buy,com) has got the Fitbit Flex Wireless Activity & Sleep Tracker in Slate priced at $66.95 with free shipping. Make sure you select the slate one, as the other colors are more expensive. The Fitbit Flex got 4.6 out of 5 stars over 33 customer reviews on Rakuten. Description: This slim, stylish device is with you all the time. During the day, it tracks steps, distance, and calories burned. At night, it tracks your sleep quality and wakes you silently in the morning. Just check out the lights to see how you stack up against your personal goal. It's the motivation you need to get out and be more active. 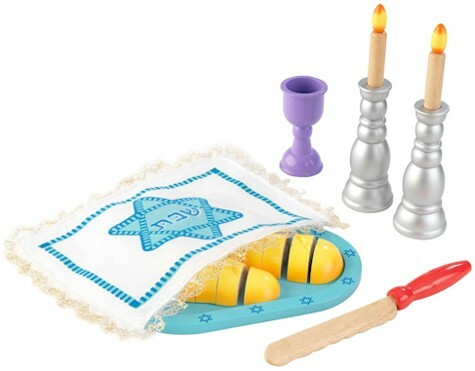 The KidKraft Shabbat Set has dropped down to $19.95 with free Prime/SuperSaver shipping on Amazon. This high-quality set got 4.8 out of 5 stars over 28 customer reviews. 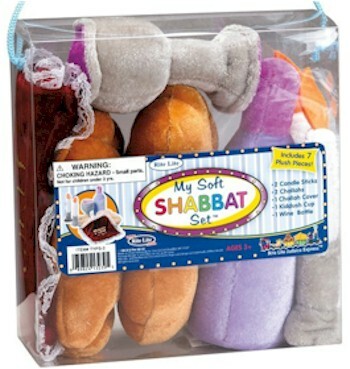 Alternatively, Amazon has My Soft Shabbat Set for $18.67 with free Prime/SuperSaver shipping. It got 4.4 out of 5 stars over 8 customer reviews. Includes 2 candlesticks, 1 wine bottle, 1 Kiddush cup, 2 Challahs, and 1 Challah cover. $13.57 - $4.79 coupon = $8.78 or $2.20 per 2 oz. tube with the 15% Subscribe & Save discount, if you can take delivery of 5 or more active subscriptions in one month. 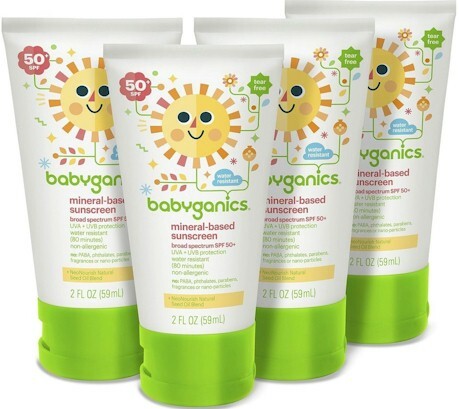 $15.16 - $4.79 coupon = $10.37 or $2.59 per 2 oz. tube with the standard 5% Subscribe & Save discount. 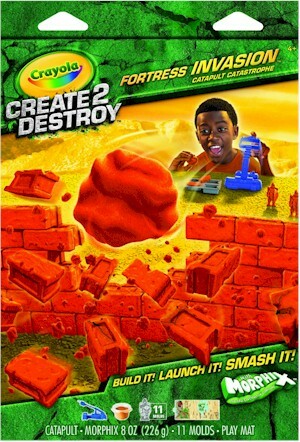 Amazon has got this Crayola Create 2 Destroy Fortress Invasion Catapult Catastrophe for $2.91. This is an Amazon Add-On item, which means that it ship for free with a $25 minimum order if you are an Amazon Prime member (and the price of the item, $2.91, counts towards that $25), or it ships for free with a $35 minimum order if you're not a Prime member. Have you discovered mesh food covers yet? My husband and I like to eat dinner out on our back porch when the weather is nice. 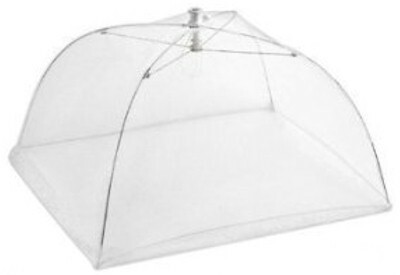 I always cover the food that I put our with a mesh food cover to keep the insects out. These things work really well and let us see the food without allowing the flies/bees/mosquitoes to eat before we do. Now, you can be very practical and get plain and simple mesh food covers, like this set over here, two for $6.55 on Amazon, with free Prime/SuperSaver shipping (pictured above). 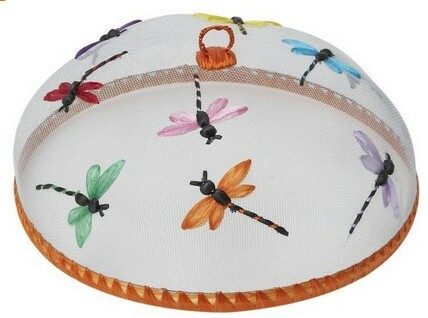 Or you can get a little shmancy and order this cute Woodard & Charles 14" Round Dragonflies Food Dome for $13.38 with free Prime/SuperSaver shipping. Great for parties, celebratory barbecues, or even Sukkot. There's also this cherries one for $19.56 or this grapes one for $16.78, and lots more over here. 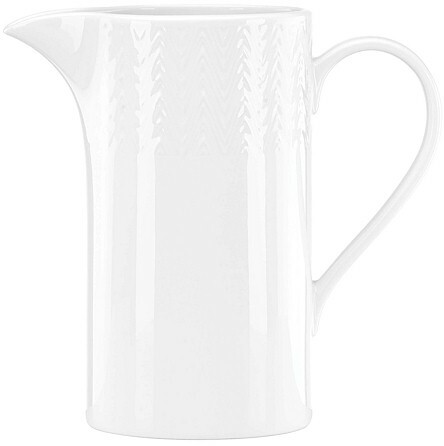 Amazon has got this Lenox Ridge Street Pitcher for only $12.73 with free Prime/SuperSaver shipping. Now, the last time I posted a similar deal on a Lenox pitcher over here, I got some feedback that when the pitchers arrived, they were unexpectedly small. I really do appreciate feedback like that because it informs me that I'm not calling enough attention to the details when I write up these posts. The pitcher that I posted about back here was 6" high and held 20 oz. This pitcher is approximately 8.5" tall and holds 56 oz.. To get a perspective on how large this is, try to picture a 1-liter bottle of soda. A liter holds just under 34 oz., so it will be a little larger than that. I just want you to get an idea of what size this pitcher is before you order it. Makes a great hostess gift, teacher's gift, or thanks-for-inviting-me-to-your-barbecue gift. I ordered three of these, and I'm going to fill at least one of them up with flowers from our rose bush and give it as a hostess gift. The fact that these pitchers are white means that they go with pretty much any table decor. Only 12 left at the time of this posting. 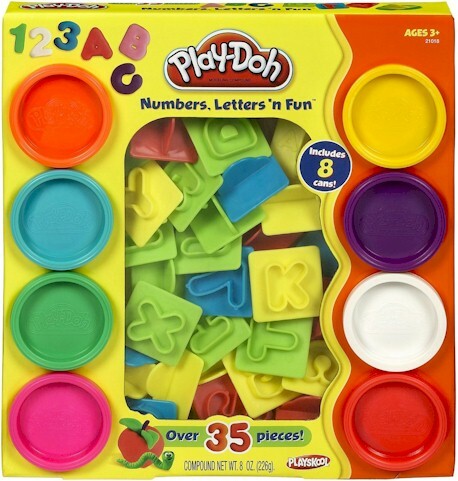 Amazon has got this Play-Doh Numbers, Letters 'n Fun 35-piece set for $6.29 with free Prime/SuperSaver shipping. It got 4.2 out of 5 stars over 102 customer reviews. 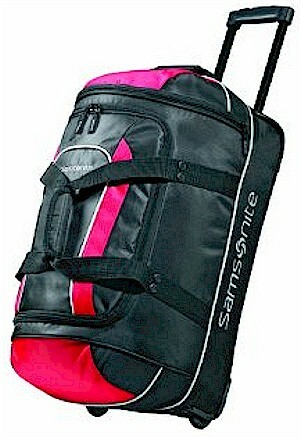 Amazon has got this Samsonite Luggage 22" Andante Wheeled Duffel for just $29.99 with free Prime/SuperSaver shipping and free returns. It got 4.1 out of 5 stars over 511 customer reviews. 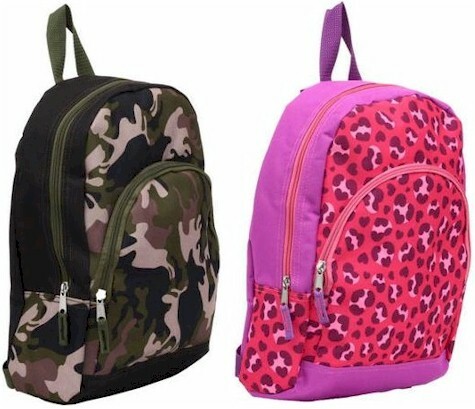 At the $29.99 price it comes in black/red (pictured above) and black/gray (the other colors are $10 more). 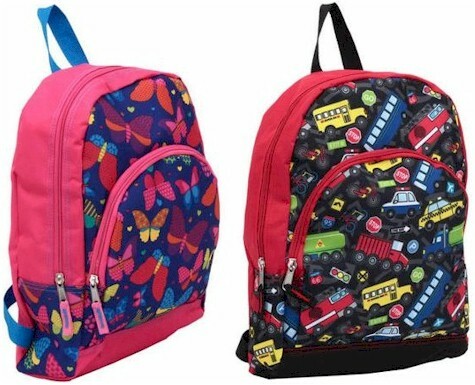 Today, 7/28/15 only, take 30% off this selection of men's, women's, and kids clothing, school uniforms, shoes, backpacks, watches, jewelry, accessories, messenger bags, briefcases, luggage and handbags, when you enter promo code 30FORALL at checkout. This Amy Byer Big Girls Solid Maxi Skirt in black drops from $15.99 to $11.19 after the promo code. There are tons of nice deals included in this Amazon promotion, so shop around. If you've got kids who need school uniforms, make sure you check out the great prices on uniforms included here. Promo code expires today, 7/28/15 at midnight Pacific time. 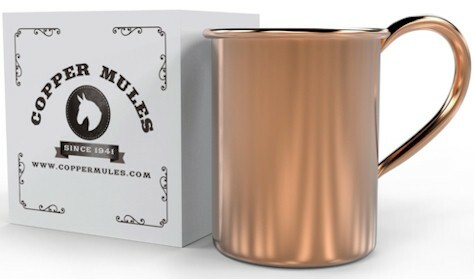 Amazon has got this 100% copper "mule" mug priced at $19.99, but use promo code COPMULES and that price will drop by $5.00 to $14.99 with free Prime/SuperSaver shipping. Large 16 oz. Moscow Mule Mugs - Our 100% Copper cups are a full 16 oz. and made to satisfy. Mix less and relax more! Food grade lacquered outside and exposed copper inside - No more tarnishing on the outside of your mug. Keep your copper mug looking spotless on the outside while enjoying the chilling/flavor benefits of pure copper. We rivet our handles - Welding is not always consistent and can cause a weaker bond. Ours are built to withstand the test of time. Enjoy drinking from your favorite mug indefinitely. 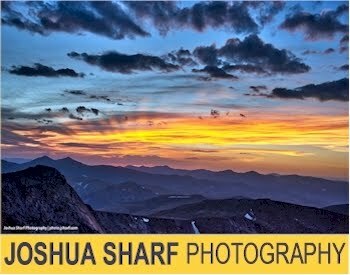 Sets of 2 and 4 on Sale - Scroll down for coupon codes and save $$$$. Now you've got a few extra bucks and don't need to drink alone! Bonus Recipes Included - Entertain family and friends by mixing refreshing variations of the classic Moscow Mule. Buying more than just one? There is a great Target Cartwheel offer on 2-liter Coke bottles and 12-pack cans of Coke. Take 50% off all 2-liter sodas (not just Coke products). 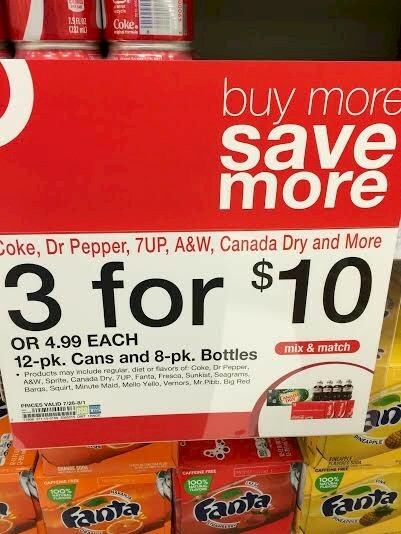 Coke 2-liters are now priced at Target at $1.79 each, so you'll end up paying $0.89 each or $0.85 each if you use your Target RedCard to pay. Limit 6 per account. If you prefer Dr. Pepper over Coke products, print your $1.00/2 coupon here, use it on two 2-liter Dr. Peppers, and your out-of-pocket will be $1.29, or just 65 cents per two liter bottle . 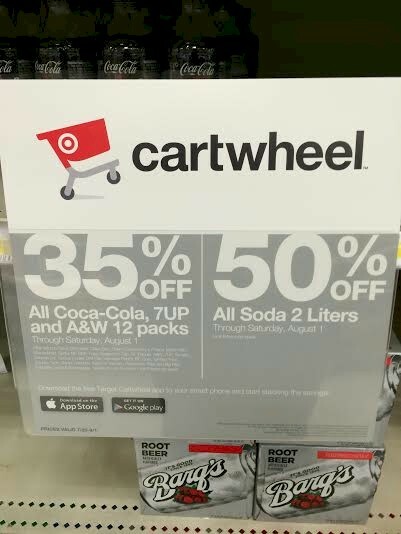 Take 35% off all Coca-Cola, 7Up and A&W 12-can packs, which are on sale at Target at 3 for $10.00, so you'll end up paying 3 for $6.49 or just $2.16 per 12-pack, or $2.05 if you use your Target RedCard to pay. Limit 6 per account. Through Wednesday, 7/29 only, get Shell Sheli Skirt Extenders or "SuperSlips," for 67% off, just $9.99. AND, get free shipping on anything (with no minimum) at ShellSheli when you enter promo code STAYANDSAVE at checkout. Great deal if you'd like to just try one skirt extender and then order more if you like it. Description: This is the perfect product for everyone who has some skirts that they love but were always just a little uncomfortable with the length. It is also great as a layering piece to enhance the look of any outfit. The top is made from a smooth and thin polyester slip material that will make sure the slip doesn't bunch up or cling! The bottom 12" is made from a thicker material that will come down beyond the skirt to extend coverage. The SuperSlip is 26" long and is held in place with an elastic band that will let you position it comfortably exactly where you want it. Now also available in tall - 29". The SuperSlip is available in A-Line and Pencil Skirt. 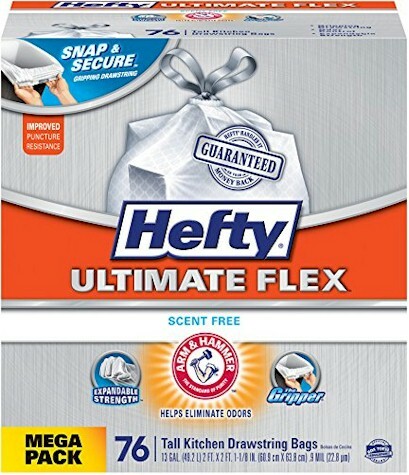 Amazon has got this pack of 30 Weiman Stainless Steel Wipes for only $3.62, the lowest recorded Amazon price on this item. This is an Amazon Add-On item, which means that it ship for free with a $25 minimum order if you are an Amazon Prime member (and the price of the item, $3.62, counts towards that $25), or it ships for free with a $35 minimum order if you're not a Prime member. This pack of Weiman's Stainless Steel Wipes received 4.5 out of 5 stars over 511 customer reviews. (FYI, Walgreen's sells it for $5.99.) These are the only wipes that I use on my stainless steel appliances; Weiman makes very high-quality cleaning products. 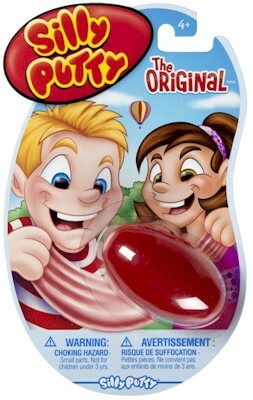 Amazon has got Crayola Original Silly Putty for just $1.00. (This represents a price drop from $4.32.) This is an Amazon Add-On item, which means that it ships for free with a $25 minimum order if you are an Amazon Prime member (and its price of $1.00 counts towards that $25), or it ships for free with a $35 minimum order if you're not a Prime member. You can order multiples of this item in order to help get you towards your $25 or $35 goal. Amazon has got this Lenox Profile Series 5" Utility Knife for $9.87 with free Prime/SuperSaver shipping, the lowest recorded Amazon price on this knife. Last June, Amazon had this knife priced at $30.00. I actually ordered the Lenox Profile Series Santoku Knife from this series last time it was reduced on Amazon, and I must say that Lenox makes absolutely beautiful knives (I know the picture on Amazon is pretty blurry and crummy) that work very well. It looks and cuts like a much more expensive knife than it is. 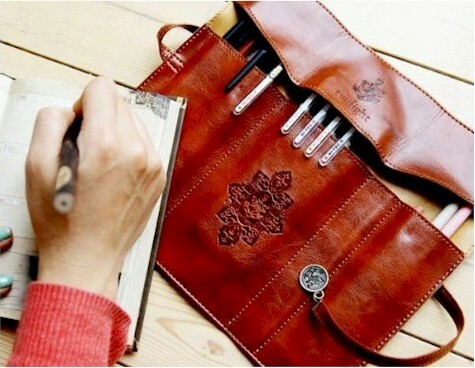 Vintage style PU leather pencil bag for $1.99 with free shipping on Amazon (no Prime account necessary). 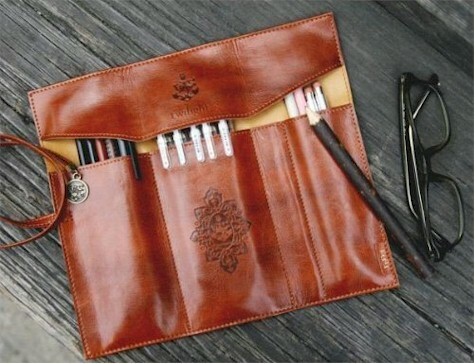 Amazon has got this Vintage style roll-up simulated leather pencil bag for $1.99 with free shipping (no Prime account necessary). 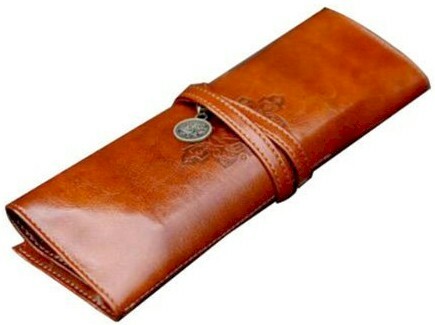 FYI, it looks like it also has the "Twilight" logo embossed in the case, so just be aware that it'll be there. $13.59 - $4.80 coupon = $8.79 or 13 cents per bag with the 15% Subscribe & Save discount, if you can take delivery of 5 or more active subscriptions in one month. $15.19 - $4.80 coupon = $10.39 or 15 cents per bag with the standard 5% Subscribe & Save discount. 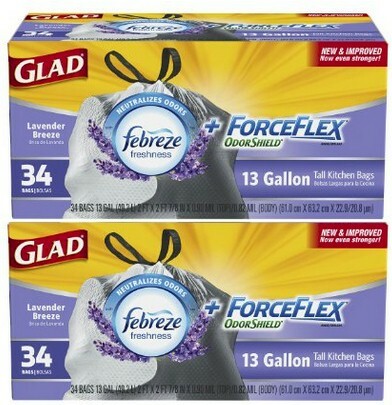 You can snag this exact same deal on this 68-count of Glad ForceFlex + Odorshield in "Hawaiian Aloha" scent as well (but you can only use the 30% off coupon once, so it's either-or). 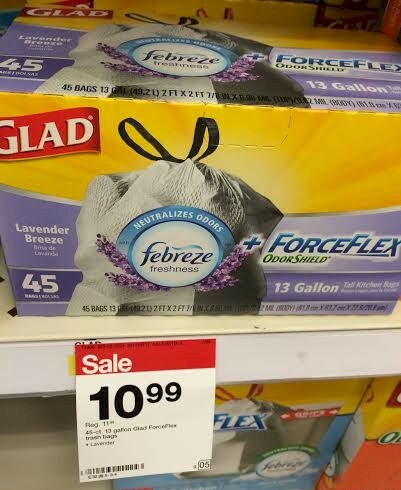 Just to give you a point of comparison, I snapped this picture of these Glad ForceFlex + Odorshield 45-count on sale for $10.99 at Target tonight (24 cents per bag).